Fully sealed taped seams and a Teflon™ Shield+ finish contend with the rain and protect valuables in the zip chest pocket and fleece-lined zip hand pockets. 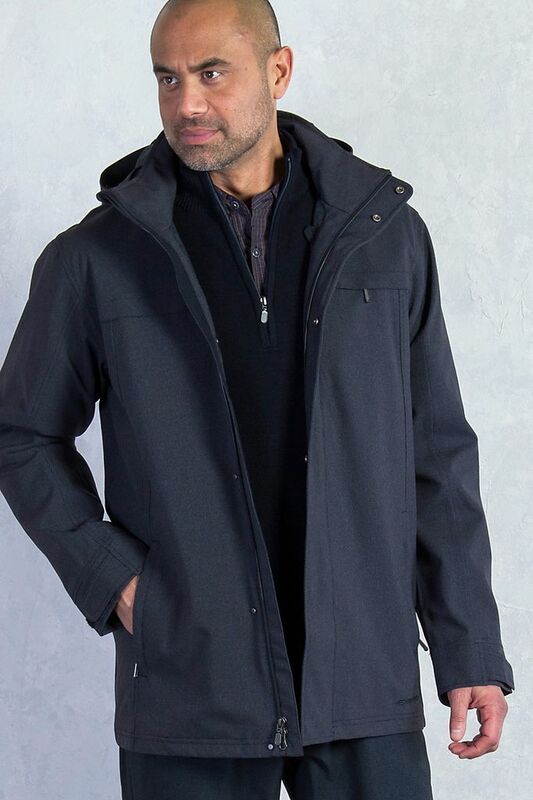 Removable hood and stand-up collar prepare you for weather surprises. Heathered fabric hides spills and mishaps you encounter on the road.